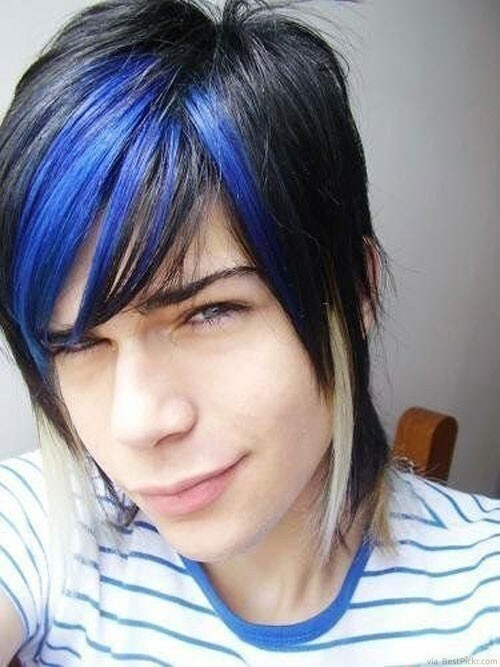 This short to medium length emo hairstyle for men is super flattering and attractive. The shaggy bangs pushed to the side and shading the eyes create an air of mystery. Personalize this haircut by adding a masculine blue in the bangs or a few blond chunks on the sides.